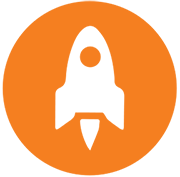 Teesside Launchpad provides support and advice for Teesside University graduates, students and staff looking to start a new business venture. To build a start-up community on campus, one that engages entrepreneurs in a range of engaging and meaningful activities, creating an entrepreneurial space that flies the flag of enterprise and innovation, a creative space designed to support. We have worked with Silver Lining Animation, a Launchpad supported business, to create an animated video explaining this innovative business start-up scheme in the North East of England. Open to all Teesside University graduates, FUEL is a six-week intensive development programme giving founders market-entry funding, mentoring and space to grow. A scalable enterprise programme enabling Teesside University students to explore, start and launch Side Hustle projects that enhance employability skills and develop income through activity. If you already have the hustle going on, let us know and we can support you with developing this further, and you will be able to access a range of workshops to support this journey. Enterprise and entrepreneurial projects delivered on campus with module content and/or placements designed around a core challenge. These also include the opportunity for students to get involved in employability building initiatives such as being an Enterprise Pioneer or getting involved in a social enterprise project.